Appearence: He looks alot like his father, whom was the founder of their great clan. Okashii is just an average looking person. His features may not be what a woman would call perfect but he can get a woman if he really wanted to. The only thing that is pretty strange about him is that he has blonde/yellow hair. 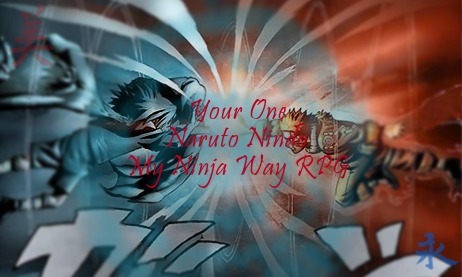 That certainlly wasn't uncommon with the Namikaze clan though. Even if they weren't much of a clan they were still pretty well known because of Okashii and his faither. Okashii finds himself at an advantage because of it, he finds himself more unique then the rest of the Namikaze clan. Okashii wears a big green robe with black attire underneath. He only takes off the robe when he is fighting someone worthy because the robes weight are about 100 pounds all together. Okashii wears them obviously for training methods in the hope to constantly increase his speed. It does, usually everytime he goes into battle with them on he increases his speed, sometimes a little and sometimes a whole lot. It isn't entirely uncommon to see him take them off when he gets hot because of how large the cloak is it is overwhelming when in the heat. He also wears a black Konohagakure headband on his head. He does this to symbolise that even though he has allies he really and trully serves Konoha. That would be his village forever. Another reason he wears this is to keep his hair in place while he battles. He still holds true to his village but he knows that he will never be known as the great ninja he wants to be there. That's why he is constantly leaving and returning. He doesn't want to be compared to his father. In looks they were almost exactly alike but in spirit they were not. They weren't anywhere near alike when fighting. Okashii's father was a much stronger person then he was, and that would probably always be the case. Personality: Okashii is a pretty nice person when I feels that other people around him deserve it. He is not known to hold grudges but is also known to have somewhat of a tempar. He has normal things that any human being should have. He is compassionate and understanding but most of all he is an all around nice and somewhat sensitive guy. He likes to have fun and joke around but when the time arrives that he is needed to be serious he can put aside all of the childish things and get it done. On Missions he is usually always serious for he knows that at ny moment he may need to take a life or one of his team members lives could be taken which was something he typically liked to avoid. He sometimse likes to move spur of the moment and just loves to live life to the best possible way which is why he isnt a strick person, not to his students. When someone betrays him its as if he is a while diffrent person, he begins what everyone else calls it as the dark stage of Okashii. He takes betrayel so seriously that if people ever do it to him he makes sure that he hunts them down and kills them. He isnt to nice to traitors as well, so when he sees a missing ninja unless he likes them alot then he is typically extremly hostile. He will most likley kill on site. He has the upmost respect for his supriors which is pretty much only the Hokage. He never plans to betray anyone, because he is already pretty lonley in life. He is just looking for the right woman. Okashii has a huge soft spot for animals, anytime that he see's one he will get excited which is alot. If anyone were to abuse a pet that would make Okashii extremely angry and there would be no telling how he might react on them. He would possibly kill them depending on the person but that is just how he is. He also does enjoy nature. Sometimes he would just stay out in the middle of the forrest all day laying against a tree sleeping. He really did enjoy that. Clan History: This was a clan that was founded by an elite Jounin, Minato Namikaze. Meaning that it wasn't at all a huge clan and there were very few that actually had the kekkei genkai of it. However the select few that did would become almost unstopable. Especially those who could turn it up to Minato's level. The clan always ruled pretty well in the village and they were pretty much all liked by any and every one of the villagers. The one clan they had always dispised was the Uchiha. They hated them more then any other clan. The Namikaze and the Uchiha were always in a constant fued. Namikaze were stronger as one but then Uchiha had them much out numbered. They were too unstopable clans in a constant rivalry that wouldn't end well for either clan. After The founder died, the clan was destroyed because of what happened to the eldest son of the founder, Okashii Namikaze. When he was exiled from the village because the third considered him a threat to his ruling there was no one to take over the rest of the clan and it was basically screwed in that way. Okashii hoped that after he was forced to leave that the village would stoll making it untill he got back and then he could take over as leader and save them the rest of the hastle. Unfortunatly it wasn't. That was what turned him back basically into a monster like he used to be. He was so blinded by evil and rage that he even had thoughts about joining the akatsuki and taking down Konoha. His good heart made him prevale over those feelings and he was able to keep his family name in tact by not doing anything rash. After feeling the guilt and pain of the people he realised his purpose so he returned and helped rebuild. However, the rest of the Namikaze clan were dead. Now Okashii is one man in a clan of many others. This wasn't much of a problem for him, it wasn't like he really cared all that much. He still had a village to take care of. However having his son dissapear was a problem for him he knew that eventually he would have to get over it. To this day, Okashii believes he is the last Namikaze currently alive. He has yet to be proven wrong. Their clan went through many falling outs and hardships. He lives as a Sannin of Konoha, waiting, traveling, and looking for anyone that survived the clan's destruction. Anyone that could have possibly survived. Among the world, the great Namikaze clan were finished. Kekkei Genkai: (Bloodline Limit) It is a kekkei genkai that allows the user to teleport through space and time and was first possesed by Namikaze probably as the result of the combination of the two bloods of the two parents of Namikaze. Tengoku has three known techniques. However Okashii developed more as time went on that he taught to no one. History/Background: This is a story of a young boy that would become a well known Legend. It starts at the beggining of the Academy, Okashii Namikaze's first day. Okashii was glad to know that he would be joining the Academy as well as his father. His father was the leader of their great clan and he expected alot from Okashii which made it painfully hard on him. Still Okashii would do just that, he would grow up to surpass his father if he had to die trying to accomplish it. Entering the building Okashii gulped at the thought of other students. He didn't know whether they would really like him or not. Would they be better then him? would they be alot worse? Would they try and fight? Would they win? Those were all questions Okashii had going through his head as he slowly approched the door to his room where all the students in his class would be. He knew that this would be it, it was now or never. this was the start of his journey, the start of a great ninja. The start of the best ninja that Konoha had ever seen. Okashii would make sure that was the case. He had already been trained by his father for many years. He was sure that he would just cruise through this Academy. His father had prepared for him to graduate very early by teaching him all the nessecary things he would need to know to graduate before he would even enroll. Okashii walked into the room and looked around, he didn't really see much compitetion. His confiedence must have been back. This was such a relief for him. Okashii didn't know what he would have done if he was the weakest person there. He sat down next to a girl that he indeed seemed interested in. She was a little blonde haired girl. The class began to start as their teacher introduced himself. Okashii so wanted to ask for her name but he just couldn't. He was that scared. he was never scared to battle with his father why was he so scared of this? He couldn't just ask the girl out. It shouldn't be that hard for him but it was. Okashii couldn't do it. Instead he just barley glanced over at her and grinned a little. She then turned her head to and Okashii quickly moved his back looking at the teacher with a bright red face of blush. Was this Love? Okashii didn't know but he did have a funny feeling in the pit of his stomach. He realised that he was actually getting butterflies for this girl. His life was previously easy, everything he did he did with flying colors. I guess no one can master love and no one can fully understand women. As time went on the class was already over. It went by pretty fast. Okashii knew that this would be very easy but he wanted to graduate with the rest of his class in hopes that when he made the rank of Genin he would be put on a team with that girl. As the many days went on Okashii flew by, he was by far the best student. Everyone was so far noticing him. Soon it was time for graduation and Okashii did graduate. He was put on a Genin team with that girl and another person. The other person was regretably an Uchiha; Okashii's clan sworn enemy. Okashii knew that from now on this would get interesting. The second chapter of the story begins. The fame of the ninja starts, the pain begins as well. Okashii would now try and learn more along with try to get close to that girl that was in his team. This was a hard time for him because it would be the time that changed everything, it would be the time where he lost it all. It all starts with the completion of very difficult missions. Ever sense they were made a team Okashii and the rest of them were all given the harder missions because of how advanced they had become. Because of how strong Okashii already was they would have nothing to worry about. His partner the Uchiha was also extremely advanced. On their missions they were rivals but they also learned to work as a team and it was very effective. They were almost unstoppable as a team. Okashii was always trying to get better and surpass Kemo Uchiha and Kemo was always trying to surpass Okashii. They were both pretty much completly even in battle. No one could beat the other and this had gone on ever sense the first day that they were put on the same team. They were constantly doing battle and truly Okashii found Kemo as his best friend regardless of how he acted. Finally, it was time to start the Chuunin exams. The extreme battles that had risks of one loosing their lives. Okashii and Kemo were both super excited to hear that they would be able to compete against eachother and ninja of other village's. They would stop them. Okashii was pretty confident that he would be the most advanced person there for he had just developed a new technique with his kekkei genkai. He was now able to teleport. It was very limited but It was indeed enough to take out all of the competition. Okashii was even affraid he would have to kill any of his teamates. As the matches started Okashii flew through them just as expected. He knocked through his opponents fast and powerful. He was very much noticed by everyone. At this rate by the time he was grown up he would definitly be as strong as his father just as he always wanted. He had heard that the girl he liked and was on his team had survived but lost the match. Okashii pretty much knew that would happen. The last match was about to start. It was Okashii vs. Kemo. Okashii had feared this would happen. With his new technique he would make a fool of his parnter and that was something he just didn't want to do. Still it had to be done. As the match started Okashii used his teleportation jutsu and appeared behind his opponent. He instantly hit him in the back. This was a very good hit. As expected, Kemo went down first hit. He was unconious. At this point it was obvious that he was good enough for Chuunin to everyone, he might even be Jounin level. Even still this was the time of grief and not because of that. Okashii had won and was promoted but some news awaited him. After the Hokage told him of the good news she mentioned the bad news. Okashii's father was killed. Blinded with rage in the few moments. Okashii sent chakra through his had and punched the ground of the Mansion and it instantly collapsed. Luckily everyone was okay and got out alive. Okashii was then exiled from the village. Forced to be a wanderer. The hokage said this was only temporary but Okashii didn't believe it. This was a very diffrent time for Okashii. He wasn't the same anymore. At this point he decided that the only thing he could possibly do is try and surpass his father like before which was what he was going to do. Which was why he took most of all time to learn new techniques. He traveled all over the place to learn. He was beginning to get very advanced in Fire elemental techniques. After he was finished mastering them he would learn more and more no matter what kind of jutsu. If it was genjutsu then he would have someone teach it to him, ninjutsu, anything. Anything that he could learn from anyone he did. He was starting to be very well known around as a Legend. He was so powerful that anyone that stepped into battle with him knew that they were going to die and they only did step into battle with him if they had a death wish. He went from a puny genin to a very advanced S ranked Wanderer. Okashii wasn't really interested in killing people, but he did if anyone got into his way. Still all he had to do was state his name and most people would back off. Okashii was living the life, but he still missed his village. He still missed surving it, he missed his friends. He didn't think that they would ever let him go back. Still as time went on he came across an old woman. She was known as a prophet and okashii was under the impression that he could learn alot from her. That was indeed what he believed. She had a very mysterious life force and Okashii was sure that she was extremely powerful in some ways. Therefore he knew not to be rude if he wanted his head. She told him that eventually he would fight for the earth and that it would be up to him among others to save it. She also mentioned that he would eventually have to give up his life but Okashii was determined to overcome that prophiecy. After long she agree'd that she would train him and that she would pass on her great summonings to him. She was a Sage, but she stated that she could not train him to use those kind of jutsu. However she could teach him to summon toads and her ultimate ones, the legendary gods summoning. Which actually mostly take a human sacrafice. The woman had the ability to summon them at will without any sacrafice but she stated it wouldn't be the same for Okashii. After long training, Okashii was finally advanced enough. He made his way back into the great village of Konoha in hopes that they would accept him back. He used his teleportation to teleport himself directly into the Hokages office. She stated that she knew that he would come back after all of the years and that he would be even more advanced then before. Okashii really wished that he would be accepted back into the village. The hokage knew that he was actually extremely loyal and there would be no way he would betray them. Okashii had heard about his clan dispersing and being extinct and sure he was sad but still this wouldn't effect him and the village. The hokage stated that she had a special position for him considering there was one point when she trained Okashii. She gave him the offer. He would be named the first legendary Sannin of three. Okashii took the blessing. He was also informed that he was basically free to do what ever he wanted, he had no limits as long as he was there whenever the village needed him. The job came with freedom. Jutsu skill where the user after performing the necessary handseals either stomp their foot on the ground or slam their hands against the ground. From the ground cracks emerge as a burst of flame emerges forth to attack the opponent quickly. This jutsu is easily avoided but can be used at a very long range. Once the attack is let out the user cannot guide the flames to their destination so it is critical that when used the aim on it is accurate. They are alot of flames so it isn't like a simple sidestep could avoid them but any Chuunin rank and up could probably dodge it with ease. A jutsu where the user creates a small mass of fire within their hands, not having any really true shape but just being a wild flame. The flame is then aimed at the oppponent and fired off as a stream. The flames and the intensity of the actual fire are devistating along with its speed. This jutsu isn't a very advanced one and can be countered with a simple water elemental ninjutsu. Even with that it is pretty fast as most of Okashii's jutsu are. This is also another jutsu that could probably be avoided easily with the proper skill and speed on Tai style. With the cost of more chakra Okashii could make the flames larger, faster and overall alot more devistating. A jutsu normally used when the user is running on kunai, or is looking to use a more powerful type of kunai. This jutsu can be released from either the hands or the mouth, having flaming kunai appear in the hands of the user which do not burn the user but if picked up by an opponent will burn the opponent. The kunai also can be fired from the mouth. This jutsu can be stopped easily with any form of water elemental ninjutsu. Although it can be stopped, the user can also begin to send multipul kunai from their mouths and at the opponent making it even harder to dodge or counter. This jutsu is pretty much long ranged. skill that was first coined by the Uchiha Clan, now overtime has been found in the hands by various individuals. This jutsu gathering chakra expanding the chest and refining it to a higher level of chakra. Bringing the hand forth and breathing out that chakra, in which is blow out through the hand. Once leaving the hand it expands outward to a great fireball which covers an area with a radius of fifteen feet . A skill that is normally used when the opponent is rushing in for a taijutsu attack. Gathering fire chakra into the air and condensing it upon the ground. As the opponent goes to strike, a flaming wall will appear before the user. This jutsu is effective at blocking taijutsu attacks, and will end up burning the opponents hand in the process. Metal Projectiles though easily pass through this. A skill that is a very widespread jutsu which is most effective when dealing with multiple enemies. Fired off from the body, the user sends off a spiralling set of fireballs towards the opponent. This attack able to cover a larger area, can also be combined with objects such as shuriken and any other spinning projectile, and have them disguised within the flame. A skill which can be used in order to protect the user. Gathering their chakra into the air and having it spin around them, a flaming whirlwind emerges around the user forming somewhat of a protective barrier. Normally it is used to deter the opponent fromm continueing their taijutsu attack, but can be used offensively to send an opponent whom prefers close range a good distance away because of its spinning force. A skill in which generates a circular flame upon the ground, raising up bars of flame and a covering over top. This intense flame heats all within it, preventing water from being created from the inside with the dryness of the air. Touching the sides results in various burns, and while this jutsu is used it can be linked to any other fire jutsu and the jutsu will be fired at the person inside the prison. A skill in which the user generally charges their fire chakra into the ground. Waiting for the oppurtune moment, to activate the jutsu when the opponent is either near the designated spot, or on the designated spot. The chakra within the ground activates, as it releases a powerful burst of flame from the ground which can send the opponent flying upwards. A skill in which generates alot of flame, creating a large salamander approximately three feet tall and eight feel in length. This Salamander can be commanded by the user to rush off and attack the opponent, and will track the opponent as best it can. The intelligence of the entity of flame however is not very high, but when taking alot dmg, it explodes. Description: A skill in which the user gathers their chakra through the ground, aiming it towards their opponent. If used upon a stationary opponent this jutsu can very easily be used. Shooting up a powerful pillar of flame from the ground which surrounds the opponent. The opponent in side is burned mercilessly during the time they are within it. This jutsu is a self-sustaining jutsu, so even if the attack does not hit it can be used as a tool to throw your opponent at for damage. A skill in which some have almost considered a fuuinjutsu due to its nature. Gathering chakra within their hands, the user imbues it with the fire element and rush towards the opponent. Upon touching the bare skin of the opponent, the chakra slowly flows over into their skin difusing outwards leaving a series of burn marks. These burn marks make it very hard to utilize the limb or body part(s) effected by it. This jutsu become extremly helpful when trying to immobilise an opponent. A skill in which creates a tangible clone of flame. With this skill, the tangible clone of flame acts freely and upon its own will. It will attack the opponent as best it can, trying to prompt the opponent to attack it from close range. When the clone is struck, its body turns into its true form being a mass of flame. When the opponent hits this mass of flame, it causes damage along with some terrible burns. A skill which is known as one of the most diffucult fire based ninjutsu to learn. The user releases forth a flame from their mouth, as it materializes into a veyr large snake type shape. The snake has a three foot diamater and is twenty feet long, and rushes at the opponent. The key danger factor of this jutsu is that, the user can change the direction of the attack at their discretion essentially making it a homing type jutsu. A skill in which the user taking their chakra from their hands and slamming it into the ground, performs a swinging motion in the direction of choice. This sends up a wave of flame with spiralling flames that emerge from the central wave that is sent out. This spiral waves extend out three feet from the wave, the initial wave being three feet wide. A skill in which is one of the most diffucult fire based jutsu to master. Within the sky fire chakra is imbued into the clouds from the user. From these clouds, it begins to rain down a series of burning embers. Ecomposing the nearby area or a potentially long range target in a rainfall of fiery embers. This skill can also be dangerous to the user. A skill in which the user taking their chakra and imbue it with their flame chakra. The user will then spit out the flames towards the opponent, at first taking the form of a large burst but then splitting off into seven distinct fire spears. These spears capable of even breaking through many high level shield jutsu. Each spear is 10 feet in length. A skill which will spew forth a strange ash from the mouth, it covers a wide range around the opponents body. Blinding the opponent for a few moments, also providing a chance for the opponent to accidentallty breath in the ash. After a few moments, the ash will then combust into a powerful flame entrapping the opponent. A skill in which, has the key ability for one to focus their chakra to the level of B rank. Performing the first handseal, and holding the second one for as long as they focus their fire chakra. Streams of heat will flow off the hands, as the user pushes their hands forward. Releasing a powerful fast flying shot of flame, so powerful that it is capable of leveling an entire village when used with alot of chakra. after the skill is done after something of that purportion it would be likley that the user would have little to no chakra left, but it does depend on who is doing the jutsu. A skill where the user mixes their chakra with the wind around them. Creating Kunai from the air and launching them at the opponent, this being a lesser powered version of the Kaze no Yaiba cannot be blocked, must be evaded. A technique where the user gathers wind chakra into the air, having it surround the opponent. The wind quickly begins to spin and is focused to spin faster and faster. As it surrounds the opponent it tries to draw them from the center into the spiralling winds. When added with projectiles, they are thrown about back and forth tossed between the winds making the idea of being inside the jutsu very deadly. A skill where the user gathers a spiralling mass of wind within their hands. This spiralling wind is flat in shape and is a powerful offensive and defensive jutsu. Defensively, it can be used to repel projectiles away from the user and have those projectiles lay about them for their use. Offensively, it can be used while in the air against an opponent to send them spiralling down into the ground. 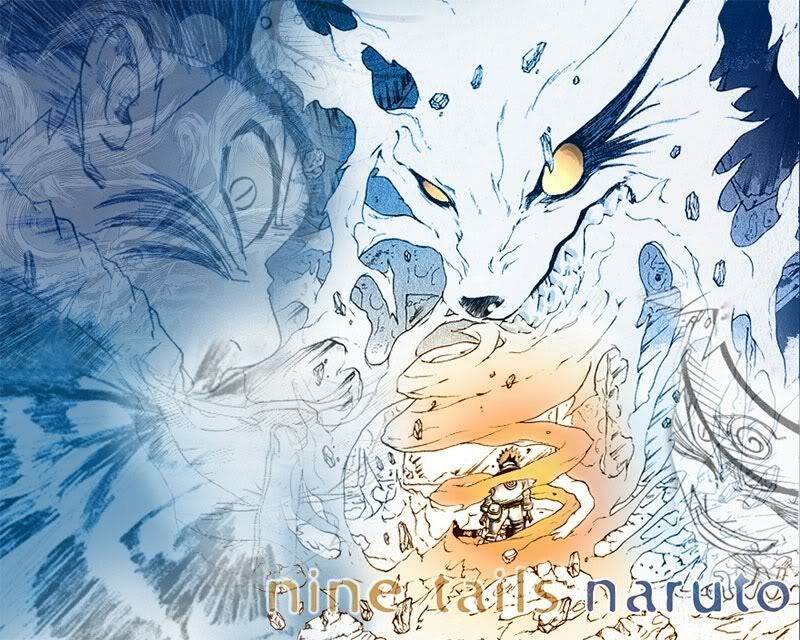 A technique where the user gathers chakra into the winds around them, having this invisible aura around them that offers protective. The winds of this jutsu are capable of deflecting projectiles such as kunai, shuriken, and senbon. Larger projectiles though will be veared off course, but will still hit the user in a less fatal fashion. A skill where the user gathers chakra into the winds around them, forming it together to create a focused mass of wind. This focused mass of wind being materialized into a blade is thrown towards the opponent. This is a very dangerous jutsu as nothing is said to be able to stop a the blade of wind. A skill where the user gathers their chakra into the air around them causing the winds in the air to circle about creating spiralling masses of wind. These spiralling masses of wind then launch off various towards to come crashing down towards the opponent. Tearing through the earth and tossing aside all that get within their path. The user can have them go in a straight line, or scatter them about. A skill where the user gathers a great amount of wind chakra within their fist. This amount of wind flowing around the hand, continues to be condensed and can be released at any time. The user either stays stationary or rushes the opponent. Firing off a powerful burst of wind when released, spreading over an area that is ten times larger in all sense of the users fist. A skill in which creates a tangible clone. This clone being created from the air, it can have different properties depending on the air properties. If used in a warm air setting, the bunshins taijutsu attacks will have a burning sensation to them. If used in a windy air setting, the bunshins taijutsu attacks will create cuts on the opponents body. If used in a rainy air setting, the bunshins taijtusu speed will be greater. A skill where the user brings forth a powerful gust of wind either from using handseals or swinging a massive fan. This chakra infused wind also imbued slightly with normal concentrated chakra. The user will slam their palm down onto the ground, Chakra bringing forth dust, dirt, and sand making a small trail in front of the rushing opponent. Causing them to trip up. A skill that is a build up upon the original Air Cutter Ability. Using both hands, the user gathers a large amount of chakra int the palms of their hands firing off a destructive blast of air capable of destroying solid objects that are within its immediate path. Tearing up land and rocks along. This jutsu can also be fired through Arm Cannons, however the major con of this jutsu is it leaves the user open to immediate attack. A skill being known for its legendary destructive power in which is controlled by the user, howevering while this jutsu is in use the user cannot use any other jutsu. After doing handseals the user can great a hurricane of effects. This jutsu can be used to attack something as big as an entire village and could whip out alot of people depending on the chakra used. The damage of the jutsu increases with the chakra control of the individual. A skill where the user brings forth a large incarnation of wind. Emerging from the body a great spiralling mass of wind emerges. Forming into a very large falcon, this falcon has bunshin type intelligence and is capable of fighting on its own will. Because of the chakra forms involved with it, it can take quite a beating before it disappates. The user can also ride on top of the falcon for transportation. A skill where the user hones in a great amount of wind chakra within their body. Taking the chakra within their lungs, focusing it and refining the chakra to a much higher level. The users chest expands as they finally then release the jutsu. Sending forth a great and terrible blast of wind. This wind had no cutting power, but has a pure destructive power behind it. Able to tear through a large plot of land within moments and sending even things firmly attached away in its wake. A skill which can be both a pro and a con to the user of this jutsu. Within thhe fifty foot radius of the inside of this jutsu is a calm battlefield. While on the outside is an additional thirty foot radius of a fierce wind storm. 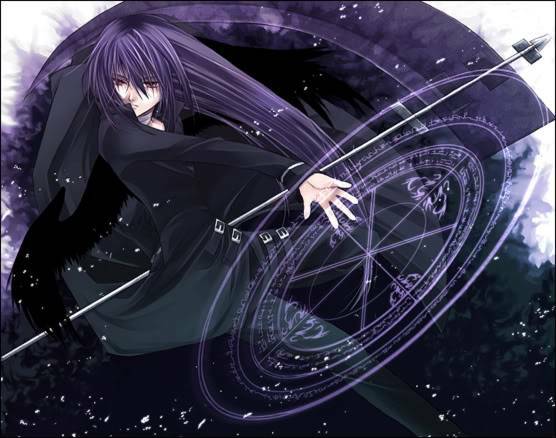 With powerful wind which can slice into the body and trap the opponent within a twirling vortex. A skill that is often considered partially a genjutsu. The user placing their finger within their mouth, they blow off a blast of wind that gives off a low tuned and sweet melody. If the opponent comes in contact with this wind. It will cause them to doze off, causing them to stop all current things they are doing. Having them fall asleep for a good deal long, and upon waking up being groggy for even longer. A skill that is used for assassination purposes. The user, sending off a burst of wind that lashes out, removing all sound within the area. Making it impossible for either the user or the opponent to hear anything. This is a jutsu used mainly by Sunagakure no Sato ANBU and Hunter-nin. Alot of others have learned it along the time. This technique is a sub-jutsu of Tengoku (Heaven), the kekkei genkai possesed by the Namikaze clan. This allows the user to teleport from one place to another without using jutsu formulas unlike Flying Thunder God Technique (Hiraishin no Jutsu) and goes with twice the speed. It can be used to travel any distance as long as the user knows where he or she is going. Madara Uchiha has somehow learned this technique without Tengoku. This may be because one of Namikaze's parents may have be an Uchiha and originated the technique, but this is an incorrect speculation. Houji can perform this jutsu do to his Kagan. With the Tengoku the user can use this jutsu with absolutly no chakra meaning that it is absolutly deadly in many cases. The only problem with using this jutsu often is that it may drain alot of the user's chakra. Someone that is extremely good with using this jutsu can keep doing it for a while before it even remotly begins to phaze them. Anyone that is touching Okashii when he does this will be teleported as well. This technique is a sub-jutsu of Tengoku (Heaven), the kekkei genkai possesed by the Namikaze clan. This allows the user to teleport from one time dimention to another without using jutsu formulas unlike Flying Thunder God Technique (Hiraishin no Jutsu) and goes with twice the speed. It can be used to travel any dimention as long as the user knows where he or she is going. Okashii has one dimension set in particular. In this dimension he is like a god. He control's anything and everything that goes on in there. He can form anything, or he can make it nothing. Basically he can reform and reshape all matter inside of it to anything he wants. Unlike the father of time jutsu this one takes handseals to do. Also, if the user wants to take someone there he must touch them 5 seconds after he makes the handseals or he with teleport there without them. This goes for anyone, opponent or friend. This jutsu can be risky because anything he creates in the dimension can come back with him as long as it is touching him, therefore if Okashii creates some kind of monster and it is touching him at the time he teleports back to reality dimension it will come with him with all of its abilities. Also, It takes up alot of chakra to reshape things in side of the dimension so if it's an opponent he has trapped then he would need to hurry up and kill them fast. The more time he takes the less of a chance he will be able to do it. If he for some reason passes out while in the dimension it would be best for the opponent not to kill him because then the opponent will be trapped there for all eternity. This technique is a sub-jutsu of Tengoku (Heaven), the kekkei genkai possesed by the Namikaze clan. This allows the user to teleport back in time. It does not use jutsu formulas unlike Flying Thunder God Technique (Hiraishin no Jutsu) and goes with twice the speed. Okashii can only use this technique about once every year, if he tryed to use it more often he would most likley be killed. The user can go as far back in time with this jutsu about 10 years but that usually isn't the case. Okashii will mainly use this if he has lost someone he loves. However after a few minutes of being in the past he will instantly transport back into the present. Okashii hasn't figured out how to do this to go into the future yet, no one has been able to complish it. He is constantly trying to but he has just yet to figure out the proper way of performing the jutsu. If he attempts to go into the future so far the jutsu will not work. Okashii has always considered the possibility that he will be the first and only one to achieve that goal after the many that have tried it. This jutsu really does take its toll on him. The user summons a huge toad to crash upon the target. Because Okashii has a signed contract with the toad all he needs to do is a few handsigns and slam his palm on the ground. The huge toad will fall straight from the sky and land on the opponent, crushing them. This jutsu encloses the surrounding area with the esophagus of a great fire-breathing toad from Mount Myōboku: Rock Lodging (妙木山・岩宿, "Myōboku-san: Iwayado"), which can be used to enclose enemies. No one has ever escaped from this jutsu, besides an Uchiha which was said that he had to use the great Amaterseu technique to escape. Okashii can also surround himself with a smaller Toad so he could protect himself from oncoming attacks. Because it is smaller it is easier and faster for him to summon it. Okashii will first summon Gamabunta. Gamabunta then spits out a large amount of oil, which Okashii then ignites by breathing fire at it creating a large fireball that explodes on impact. With this jutsu Okashii can transform a person into a frog. He will first do handseals and then put his hand on the person's head, they will then be transformed into a frog. Okashii can undo this by repeating the same steps again. With this jutsu Okashii can contol the body of a person by hiding in his shadow. After gathering oil in his mouth Okashii can pit oil to his opponent. After the opponent is hit they will be unable to move. If wanted Okashii will shoot a ball of fire at the opponent and if hit the opponent will probably explode into flames because of the oil. With a signed contract, Okashii can summon Gamabunta (ガマブン太; Literally meaning "Toad King"). Gamabunta is the boss of the toads that are summoned. He is huge (about 100 meters high) and is summoned for battles with the biggest of enemies. His sons are Gamakichi and Gamatatsu. Gamabunta is a grumpy and highly apathetic character. He doesn't like to take orders from anyone, unless the summoner is highly talented and earns his respect. Okashii has done that after long and hard time spent. In all his appearances, Gamabunta has shown to be a powerful fighter, regardless whether or not his summoner is by his side. Despite his great size he possesses surprising agility as seen when he leaped out of the crevice that Okashii fell in right before he summoned the great Toad, reaching several miles above the atmosphere before crashing back again into the forests. Gamabunta's arsenal includes two katanas, both of which he could wield to inflict colossal damage thanks to his immense strength, and appears to be fairly proficient in certain forms of Ninjutsu, though he seems to favor Suiton attacks over anything during confrontations. Also, being possibly one of the eldest summons in existence, Gamabunta exhibits a wise and knowledgeable demeanor for as long as he is not quarrelling with the one who summoned him. Kawara Shuriken is a Ninjutsu technique in which the ninja uses their chakra to levitate nearby roof shuriken. Once levitated, the tile are hurled towards the target similar to a shuriken. The Pic isnt important,its a good description. *Puts on the Kanta Mask* Well,I have one question what rank are you? Care to join the Ansatsu Senjutsu Tokushu Butai? We already have all three of them, you have to be something else. If you absolutely have to be a sannin then you have to kill one of them for his position. (2) Space/Time Techniques, Absolute no. Remove. (3) Other than that, well done with detail. Welcome to the ANBU I am your boss. Fix your character sheet.